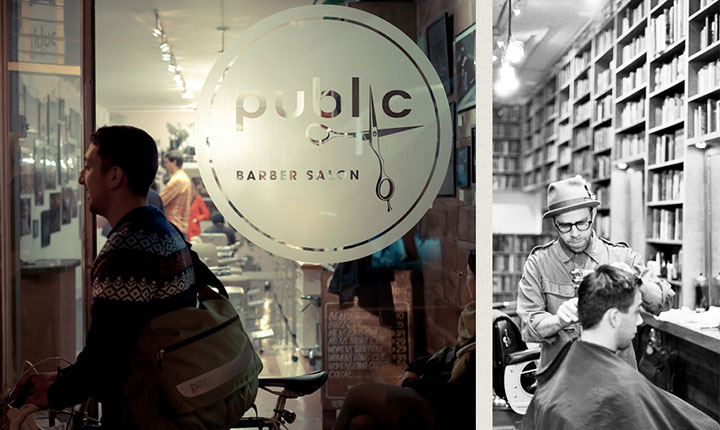 Public Barber Salon, a hair salon based in San Francisco, hired me to brand the business before their initial opening. They were looking for something clean yet grungy. 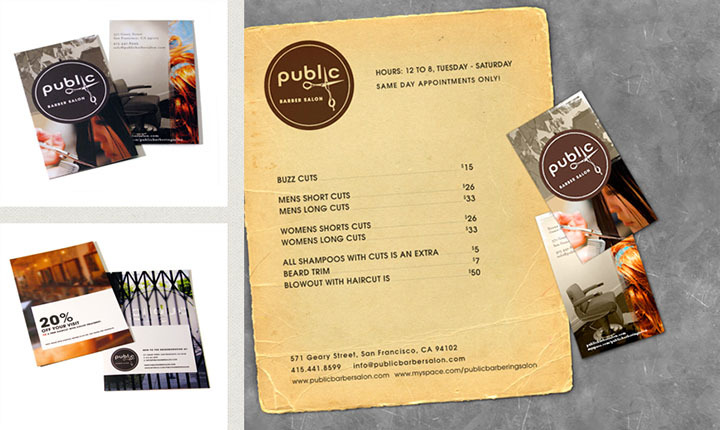 The work included identity, print collateral, window stickers, postcards, business cards, stickers, a web site, etc. 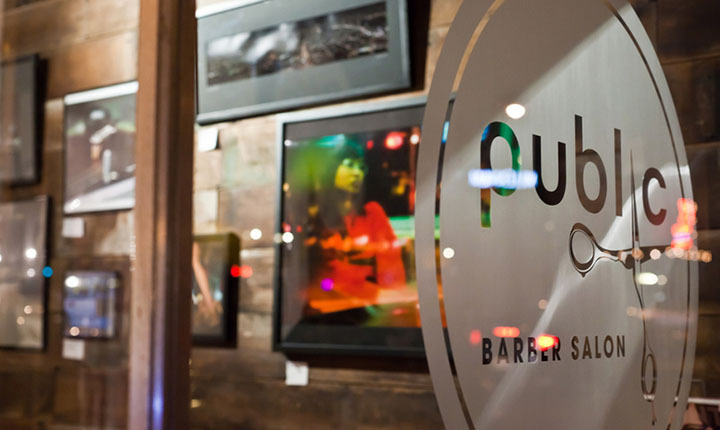 The store opening was a great success, resulting in the expansion of a second shop in 2012.